Versatile Les Paul with two ProBuckers, ShadowNano-Mag pickups and USB connection. With the Les Paul Ultra III, Epiphone is presenting an incredibly versatile variant of a classic. Next to the classic ProBucker Humbuckers, the Les Paul Ultra III is equipped with a Shadow NanoMag, which discreetly sits at the end of the fretboard, and in combination with the chambered body, delivers an impressive acoustic sound. The user-interface on the back allows the sound of the NanoMag to be adjusted. The stereo outputs allow the recording of the signals from the magnetic pickups and the NanoMag separately and transmit them to amplifiers. The USB connection allows you to connect the guitar directly to a computer in order to take advantage of modelling and recording software. An additional special feature is the chromatic tuner integrated into the bridge humbuckers, making lightning fast and easy tuning possible. For a guitarist with not a huge budget, this is the perfect replacement for a Gibson Les Paul. The sound is very similar to his more expensive brother. The playability is very good, even up to the last fret. Its an universal guitar suited for almost al playing styles. Every note you play is picked up and heared. A very full sound, easy playability, good quality,... This simply is a good guitar. 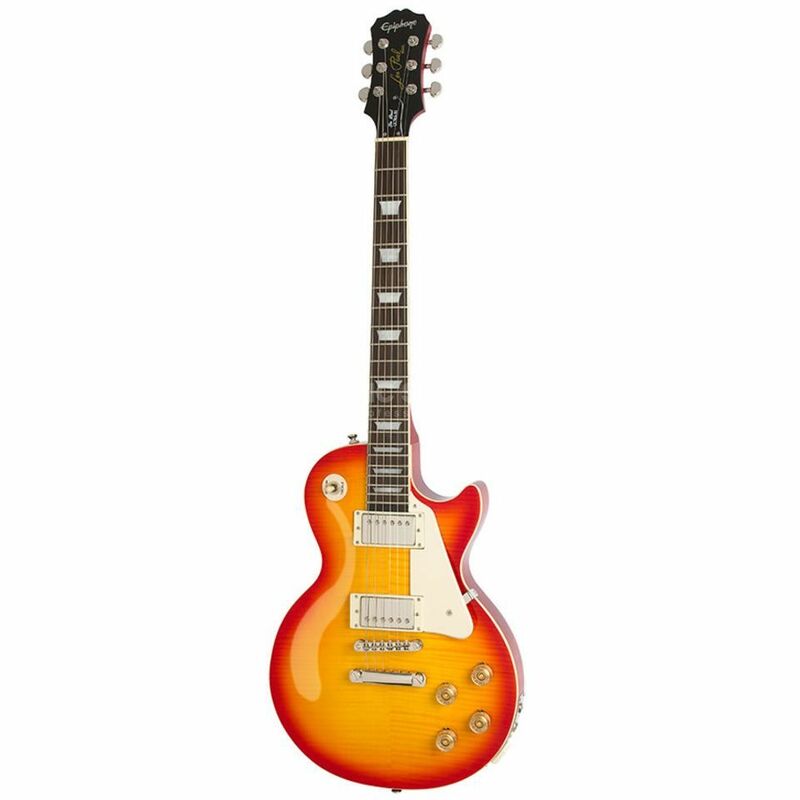 As you know Epiphone isnt just a copy of Gibson, they make their guitars a good as possible for a low price. Just buy this guitar, you wont have any regrets. Fiquei agradavelmente surpreendido. e muito satisfeito com a qualidade do material adquirido e o serviço prestado na entrega da encomenda. There are many entry-level guitars that try to be a Gibson Les Paul. Among them, Epiphone Les Paul Ultra III is my choice. With two ProBuckers that give that Gibson vibe, and the Nano-Mag (Piezzo) giving an infinity of combinations, this guitar is as close as you can get in the price range that you can afford. I considered buying a entry-level Gibson Les Paul, but here is the thing, they are not as crafted and finished as this high-end Epiphone. The "play-ability" of this Epiphone is amazing. I confess that there was another Epiphone that I like as well. However, after reading many reviews, and trying out many guitars (multiple times), I settle on this one mainly because it just felt right while I play and the combination of ProBuckers + Nano-Mag give me endless possibilities. It is one of my best acquisitions and I highly recommended it.